You can learn here how to make pancakes without baking powder or baking soda or vanilla extract. All you need is flour, eggs, milk, butter and few other basic ingredients. If you want the best texture for your pancakes, you can use all purpose flour to make these pancakes, however you can also use wheat flour. Almost all pancake recipes uses baking powder or baking soda and vanilla extract, however you can also make wheat flour pancakes without baking powder or baking soda following this easy pancake recipe without baking powder. 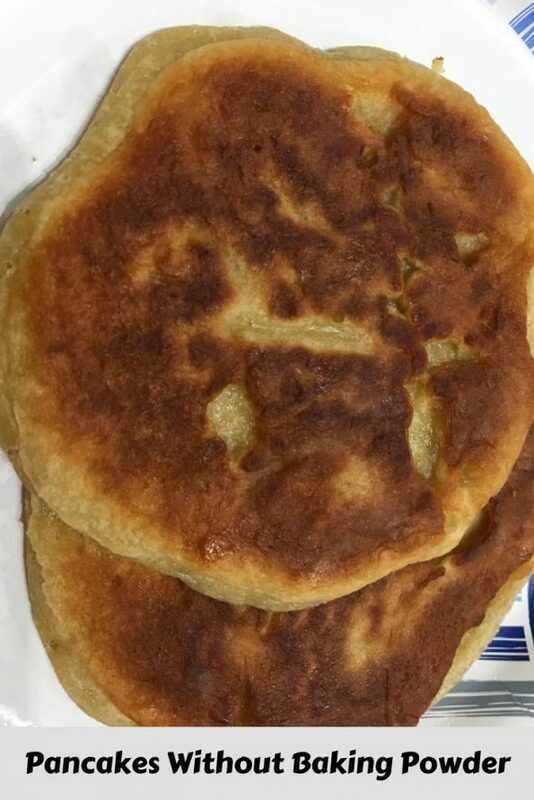 I used wheat atta flour to make the pancakes (wheat atta flour is the kind of flour used to make Indian flatbread), as it is more healthy, but for perfect texture, stick with all purpose flour. 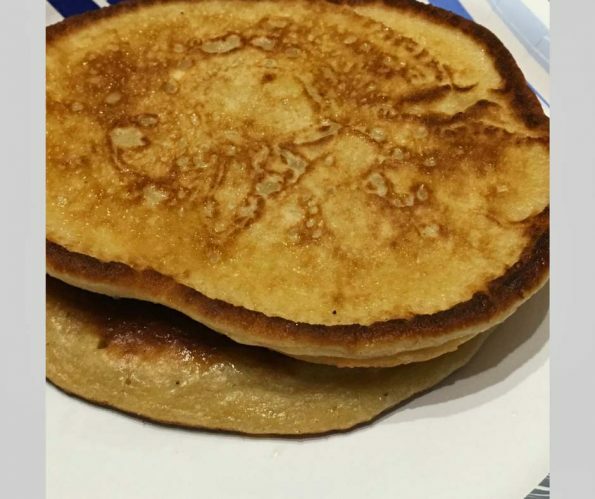 You can use unbleached all purpose flour if you like, to make these pancakes which will be prefect to make any pancakes including these pancakes without baking powder or baking soda. You may also try super fine cake flour to make the pancakes for a more fine and soft texture. The pancakes without baking powder or baking soda taste the best when they are enjoyed as soon as they are made, so try to serve these yummy pancakes while they are still warm! 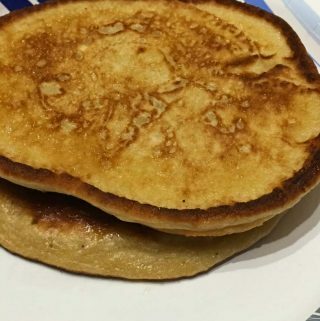 So here is how you can make pancakes without baking powder following this easy recipe for pancakes without baking powder and baking soda. Pancakes without baking powder or baking soda can be made easily with flour and few other ingredients which are best enjoyed while still warm along with pure maple syrup or any sweetener or topping as you wish. In a medium sized bowl, mix together the dry ingredients - flour, salt and also the sugar until well mixed. Whisk the eggs in a different bowl, and add the milk and oil, mix very well. Add the wet ingredients mixture to the dry flour mixture slowly, and mix well until well combined and the batter if formed without any lumps. Heat an iron skillet or pan (or use non stick pan) and grease with oil or butter. Add one ladle of batter to the hot pan, add a tablespoon of butter of ghee and let it cook for a minute or until the bottom side is cooked and bubbles appear on top. Gently flip the pancake and cook the other side too, which will cook faster. Once the pancake is cooked, transfer it to the serving dish, similarly cook all pancakes until the batter is finished. Enjoy the pancakes hot with butter or maple syrup or any of your favorite toppings as you wish! Pancakes without baking powder tastes the best when they are still hot or warm. I used wheat flour (Indian wheat atta flour) for making these pancakes but you may use all purpose flour for a more softer texture. 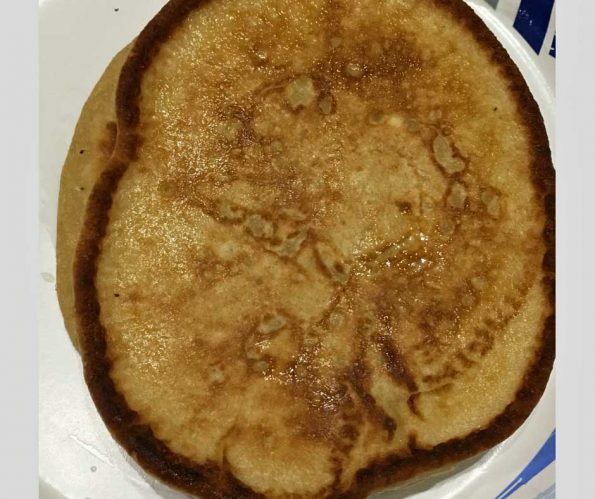 Hope you found this post on how to make pancakes without baking powder or baking soda helpful in making easy and yummy pancakes without using baking powder.